Thank you for picking up this book. If you’re new to BookCrossing and find this book and this site (www.bookcrossing.com), please make a journal entry to let me know that this book has found a good home with you. You may choose to remain anonymous or to join. I hope you'll join BookCrossing (doesn't cost anything to join!) and if you do, please consider using me, Cfreckle, as your referring member. When you’ve finished reading this book and are ready to send it on its way again, make a journal entry if you are giving or sending this book to a known person, or a release note if you are leaving it “in the wild” again for anyone to catch. Then watch its journey. You’ll be alerted by e-mail each time someone makes another journal entry. And it’s confidential (you are known only by your screen name and no one is ever given your e-mail address), free, and spam-free. Enjoy the site, the book and hopefully the BookCrossing community. If you’re already a BookCrossing member, thank you for picking up this book. 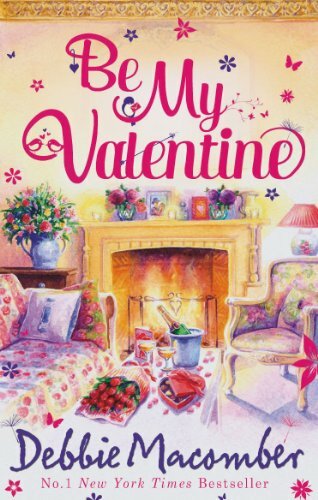 My Funny Valentine Dianne Williams needs a man. But only for a night. The night of the community center Valentine dinner, to be precise. Exasperated by her children's relentless efforts to get her a date, Dianne finds herself approaching a handsome stranger named Steve and making him an outrageous offer. An offer he doesn't refuse. An offer that might lead to more than just one night. My Hero Bailey York needs a man. But only on paper. She's writing a romance novel and she's having difficulty creating a hero. So she needs a real-life model for her story. Parker Davidson is perfect, everything a hero should be. But he wants to become the hero in her life, not just her book. And not just on Valentine's Day, either! Two (well... three if you count the last couple of pages) nice, easy, short woman's romance stories. I needed a relaxing break after reading several intense books in a row. It did the job I needed it to do and I enjoyed the stories. Going into Kinedi's Foreign Author Bookbox.